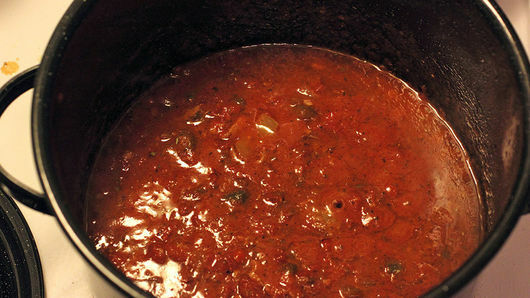 In 12-inch skillet or 4-quart Dutch oven, heat 2 tablespoons olive oil over medium heat. Add 6 chicken thighs; season liberally with salt and pepper. 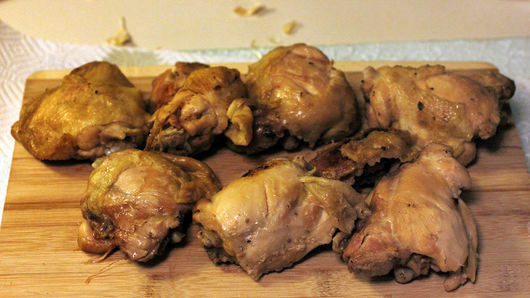 Cook chicken on each side 7 to 10 minutes. Remove chicken from saucepan; place on plate. To drippings in skillet, add thawed 1 bag (14 oz) frozen bell pepper and onion blend; cook 3 to 5 minutes or until translucent. Add 4 cloves finely chopped garlic; cook and stir 1 to 2 minutes or until fragrant. Pour in 1 cup Progresso™ chicken broth. Stir to loosen chicken bits from bottom of skillet. Add 2 cans (14.5 oz each) Muir Glen™ organic fire-roasted crushed tomatoes and 1 tablespoon Italian seasoning; stir to mix well. Return chicken to skillet. 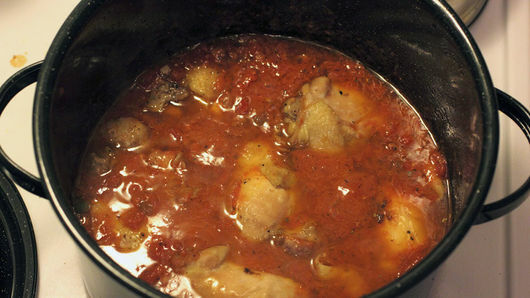 Simmer 10 minutes or until juice of chicken is clear when thickest part is cut to bone (at least 165°F). 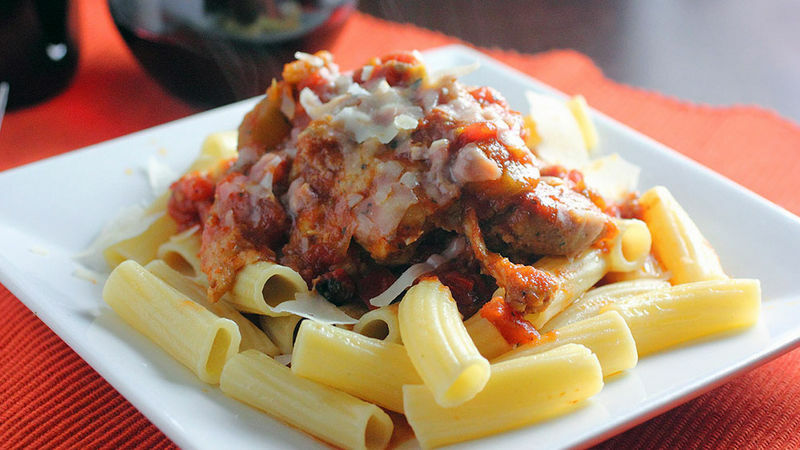 Serve on top of your favorite wide or thick pasta such as Pappardell or Tortiglioni. Serve with baked Pillsbury™ refrigerated crescent dinner rolls and a side salad for a complete meal that your family will love!